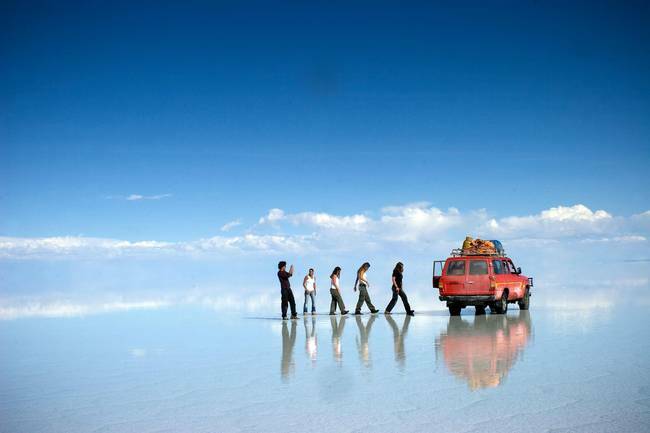 The Salar de Uyuni located in southwestern Bolivia is the world’s largest salt flat and home to some of the most breathtaking sceneries. 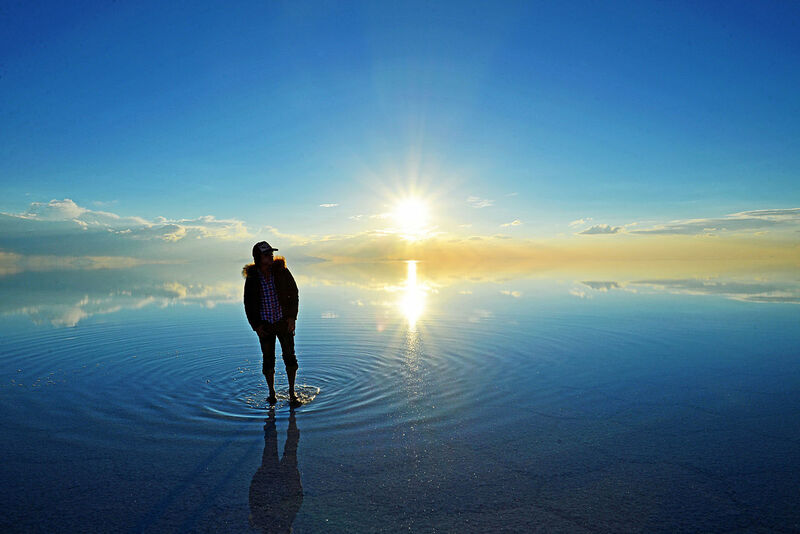 The origin story of the Salar de Uyuni sounds like it came straight out of a fairytale. 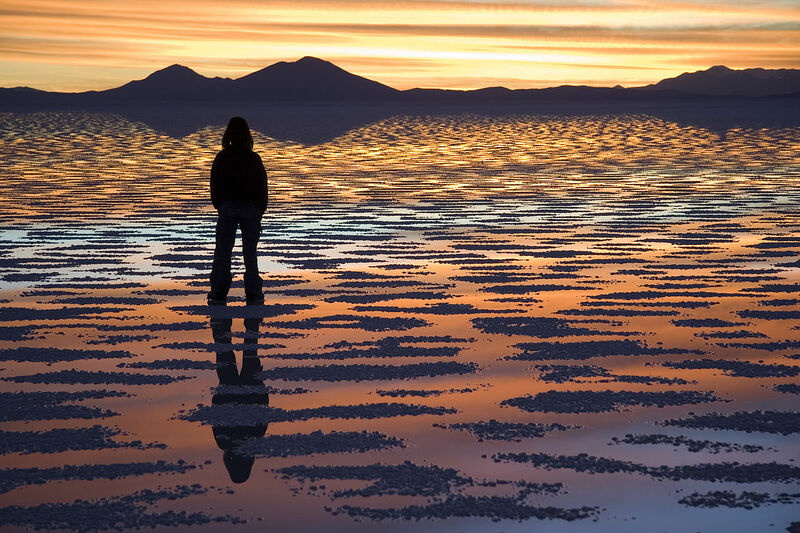 Over 40,000 years ago a prehistoric lake dried up and left a salty crust behind. 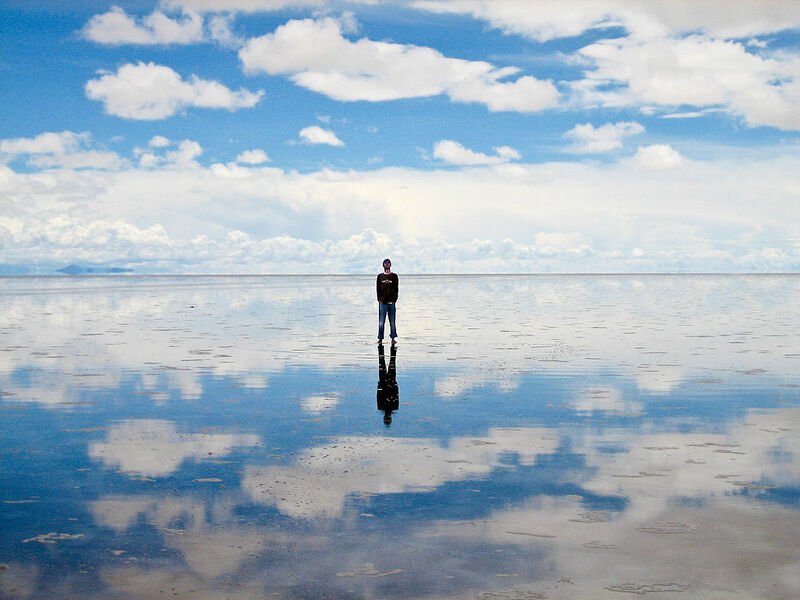 Whenever it rains, the salty crust becomes one giant mirror. Yes, it’s possible to have a double double rainbow!